WILMINGTON, Mass.--(BUSINESS WIRE)--Nov. 18, 2015-- Charles River Laboratories International, Inc. (NYSE: CRL) announced today that it has acquired Oncotest GmbH, a Freiburg, Germany-based contract research organization (CRO) providing discovery services for oncology, one of the largest therapeutic areas for biopharmaceutical research and development spending. Oncotest offers an integrated portfolio of target discovery and validation services for preclinical oncology researchers. The company specializes in in vivo pharmacology services, leveraging an extensive collection of more than 400 patient-derived xenograft (PDX) tumor models, as well as a full range of in vitro assays using both commercially available and proprietary PDX-derived cell lines. Integrated with Charles River’s broader portfolio of human xenografts, syngeneic, and humanized immunotherapy research models, flow cytometry, and IVIS® imaging services, the acquisition creates a premier oncology portfolio for the validation of novel cancer therapies. 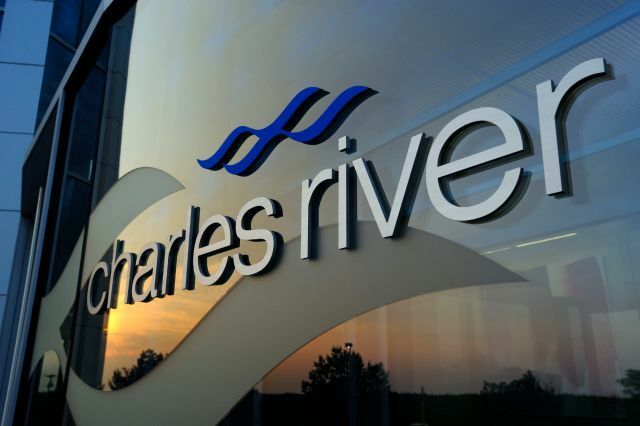 With facilities in both North America and Europe, Charles River’s enhanced capabilities will enable us to provide expert support for our clients’ drug discovery programs, including: compound design and synthesis, hit-to-lead, high throughput screening (HTS), and lead-to-candidate services. When combined with Charles River’s safety assessment services, we provide unparalleled support from early discovery through preclinical development, enabling clients to bring new oncology therapies to market in a more efficient and timely manner. This news release contains non-GAAP financial measures, such as non-GAAP earnings per diluted share, which exclude the amortization of intangible assets and other charges related to our acquisitions (including expenses associated with evaluating acquisitions and certain third-party integration costs). We exclude these items from the non-GAAP financial measures because they are outside our normal operations. There are limitations in using non-GAAP financial measures, as they are not prepared in accordance with generally accepted accounting principles, and may be different than non-GAAP financial measures used by other companies. In particular, we believe that the inclusion of supplementary non-GAAP financial measures in this news release helps investors to gain a meaningful understanding of our core operating results and future prospects without the effect of these often-one-time charges, and is consistent with how management measures and forecasts the Company's performance, especially when comparing such results to prior periods or forecasts. We believe that the financial impact of our acquisitions (and in certain cases, the evaluation of such acquisitions, whether or not ultimately consummated) is often large relative to our overall financial performance, which can adversely affect the comparability of our results on a period-to-period basis. In addition, certain activities, such as business acquisitions, happen infrequently and the underlying costs associated with such activities do not recur on a regular basis. Non-GAAP results also allow investors to compare the Company’s operations against the financial results of other companies in the industry who similarly provide non-GAAP results. The non-GAAP financial measures included in this news release are not meant to be considered superior to or a substitute for results of operations prepared in accordance with GAAP. The Company intends to continue to assess the potential value of reporting non-GAAP results consistent with applicable rules and regulations. A reconciliation of non-GAAP earnings per share for 2015 and 2016 to the most directly comparable GAAP financial measure has not been included because it is impracticable to determine the allocation of the purchase price and other necessary adjustments at this time. This news release includes forward-looking statements within the meaning of the Private Securities Litigation Reform Act of 1995. Forward-looking statements may be identified by the use of words such as “anticipate,” “believe,” “expect,” “will,” “may,” “estimate,” “plan,” “outlook,” and “project” and other similar expressions that predict or indicate future events or trends or that are not statements of historical matters. Forward-looking statements include statements in this news release regarding the acquisition of Oncotest GmbH and Charles River’s expectations with respect to the impact of Oncotest on the Company, its service offerings, revenue, revenue growth rates and earnings; Charles River’s projected future performance including revenue and earnings per share; as well as Charles River’s future growth in the area of discovery services. Forward-looking statements are based on Charles River’s current expectations and beliefs, and involve a number of risks and uncertainties that are difficult to predict and that could cause actual results to differ materially from those stated or implied by the forward-looking statements. A further description of these risks, uncertainties, and other matters can be found in the Risk Factors detailed in Charles River's Annual Report on Form 10-K as filed on February 17, 2015, as well as other filings we make with the Securities and Exchange Commission. Because forward-looking statements involve risks and uncertainties, actual results and events may differ materially from results and events currently expected by Charles River, and Charles River assumes no obligation and expressly disclaims any duty to update information contained in this news release except as required by law.